Global Blockchain Technologies, otherwise known as BLOC, last week began inviting traders to participate in their beta testing phase. Based on both Laser and Stellar, it will be the first exchange in the world to offer decentralized custody and a decentralized order book using a federated sidechain to bridge the two networks. Earlier this year, BLOC introduced a service layer technology called Laser. Laser works by operating on top of any existing blockchain network and optimizes its functions, including the ability to operate with other blockchains. As more and more blockchains come online, interoperability is becoming more of a challenge, and opportunity for co-existence is driving innovation even as the cryptocurrency and enterprise blockchain markets become more active, and often perplexing. The Laser Network is built on a hard-fork of the Ethereum blockchain, the Laser Blockchain. “This partnership will accelerate the collective growth of federated cryptocurrencies,” said BLOC President and CEO Shidan Gouran. Given the nature of the blockchain beast, and despite a cooling off of cryptocurrency valuations, the interest in applications in the fintech arena hasn’t eased up. While some observers believe the “big three” (Bitcoin, Ethereum and Litecoin) will continue to dominate, just as is the case with fiat currencies (USD, Euro, Yen and more) there will be diversity and fragmented marketshare, in Gouran’s view. The United Nations recognizes 180 currencies worldwide and, in fact, proposed a global currency in a massive report published in 2009. The UN said at the time they would like the dollar, euro, yen, and other national currencies to be succeeded by a unified “successor currency” managed by a “Global Reserve Bank.” Countries could "agree to exchange their own currencies for the new currency, so that the global currency would be backed by a basket of currencies of all the members," said the 218-page report from the U.N. Conference on Trade and Development. That report suggested that the U.S. dollar's outsize role in international finance had ended after the financial crisis of 2008, with too much speculation in commodity markets, the collapse of stock markets, and trade imbalances between countries, including China’s overwhelming ownership of US Treasury Bonds. The report called for “more stringent financial regulation" and "diversification away from dollars" to stabilize exchanges rates. That never happened, but cryptocurrency did, and organizations like the Society for Worldwide Interbank Financial Telecommunication (SWIFT) continued to provides a network that “enables financial institutions worldwide to send and receive information about financial transactions in a secure, standardized and reliable environment” selling interbank messaging services to over 11,000 financial institutions in more than 200 countries and territories, who were exchanging an average of over 15 million messages per day, up from 2.4 million daily messages in 1995. SWIFT securely transports financial messages but does not hold accounts for its members and does not perform clearing or settlement; it simply sends payment orders, which must be settled by correspondent accounts that the institutions have with each other. “No such SWIFT solution existed for cryptocurrencies until now; this is part of the vision behind Laser,” Gouran said. Laser was developed to offer this interoperability between blockchains, by standardizing wallet numbers and other properties, making it possible for users of one blockchain to make transactions with users of another blockchain without the use of a third-party exchange. Still in beta, Laser features the use of an overlay protocol that provides “pseudo confirmation” of transactions, enabling any two cryptocurrencies to be transacted in a matter of seconds, BLOC claims, which would mean a significant improvement over the processing times of other blockchains which are notoriously slow to complete transactions. Laser’s optional “joining” service makes transactions anonymous in any cryptocurrency by bundling multiple transactions together. In light of blockchain’s principle value of complete anonymity over trust-less decentralized ledgers, the ownership history of unit of currency is obfuscated as coins are “shuffled” and predetermined amounts are disbursed to predetermined recipients. Given Laser’s node architecture, transactions are cleared in seconds, creating a positive incentive for use, while collateral required in order to operate “disincentivizes dishonest behavior from rogue operators, giving integrity to the blockchain’s backbone,” according to the company. Singularity harnesses the abilities of both the Laser and Stellar blockchain networks, by using a federated sidechain to bridge the two networks. Through the combined functionality Laser and Stellar, Singularity is able to offer decentralized custody, as well as a decentralized order book. 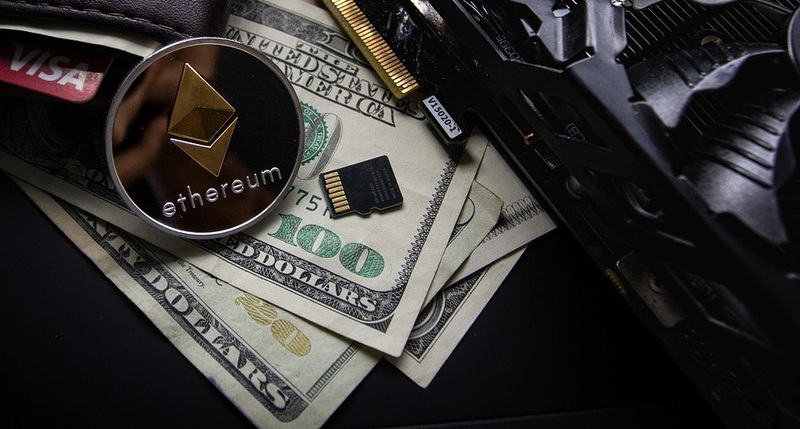 Custodianship remains a pressing issue in the trade of crypto assets, with fewer traders trusting their capital to centralized exchanges that provide custody, since they can lose their balance in the event that the exchange is hacked. Making an exchange more decentralized is a testament to the principle of decentralization that is fundamental to blockchain networks, a value that Singularity will exemplify in a way no other crypto asset exchange has before. Last week, Stellar announced StellarX, a new GUI for trading in crypto currencies, free for all participants. Talk about “audacious goals,” Stellar, which has been described as a “Robin Hood” project, is being developed and maintained as a non-profit organization simplifying the exchange of cryptocurrency. StellarX, a Stellar-based zero-fee decentralized crypto exchange has left its beta phase and was fully launched Friday, September 28. The exchange, originally announced in July this year, is based on Stellar’s (XLM) universal marketplace. Stellar is an open-source protocol for cryptocurrency to fiat transfers; its own cryptocurrency XLM is currently the 6th largest in the world, with a market cap of $4.8 billion, according to CoinMarketCap. StellarX calls itself as a “real fiat onramp” enabling users to deposit U.S. dollars directly from a U.S. bank account, with the exchange showing digital tokens currencies including the euro, Chinese Yan, Hong Kong Dollar, British Pound and more. StellarX competes with Ripple, and by making transactions free, stands to disrupt significantly. Stellar is on a mission to “clean up Dodge” after very dark days, including price manipulation of Bitcoin and infrastructure security hacks. By integrating with Laser, will StellarX move more into a mature trading platform, which can bring with it what the cryptomarkets urgently need, meaning transparency, stability, and liquidity? With Laser, will StellarX attract banks to use Lumens? With Laser, as an empowering cross-border payment alternative, will Stellar out run Ripple and the bank coin XRP? While this may still feel like a science project to some, and while some cynics may even call this just a “website on top of a blockchain,” from our view getting the User Experience right is paramount to adoption and growth. Look back on electronic trading when it began propagating before the turn of the century – the breakthroughs came when companies like E-Trade invested in the User Experience, front-ending the back-end systems. Interested users can register for the beta testing phase for Singularity at http://www.singularity.exchange. To activate their account, users will be required to make a deposit of five Stellar Lumens. Users will also be required to accept a disclaimer which stipulates that all trades made on the beta testing version of Singularity are at the user’s own risk.